Leverage Your Power For Impact! Leaders first need to inspire followers before they can influence them. Leadership is the ability to connect with and inspire others to support your vision. Your presence precedes connections, and your power determines how you influence. Whether you are an introvert or an extrovert, hold a leadership position or not, you can still project a strong and powerful presence that opens doors of opportunities for you. Join us for the first Rise and Lead Web Mentoring series, “Power, Presence, Potentials“. Ready to show up more powerful? During the training, you will have the opportunity to ask questions and receive answers. You will decide how you want to show up in the world to become a better leader. Choose to become more assertive and make an impact in 2019! This is a FREE virtual event and the recording will be sent to all registered participants within 24 hours after the web mentoring. 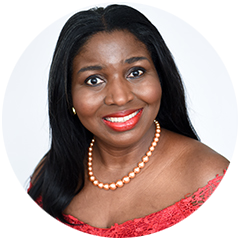 Ebere Akadiri is the founder of Ataro Marketplace and the co-founding chair of Beauty In Every Life Foundation. She has 19 years of business experience in the retail and food industry. She is passionate about women leadership inclusion and diversity, and she believes that every woman can rise and lead if shown how. She is using her platform, Rise & Lead Women, to promote the financial and leadership inclusiveness of entrepreneurial women. Ebere is also the author of “Vibrant Cuisine of West Africa cookbook” and “Launch Your Dream Business”. 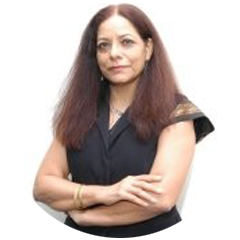 Poonam Barua is an accomplished business leader, economist, Independent Board Director, CEO of WILL Forum India, and Founding Chairman of the Forum for Women in Leadership, based in New Delhi. She is also the author of the renowned book, Leadership by Proxy: The Story of Women in Corporate India, published by Bloomsbury, December 2015.